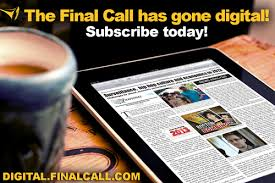 WASHINGTON (FinalCall.com) - After 30 years of suffering lies and half-truths and attempting to resolve conflict with Jewish organizations through dialogue, Nation of Islam Minister Louis Farrakhan called for a public showdown with the Southern Poverty Law Center, the Anti-Defamation League, and the heads of the 12 major Jewish organizations in America. 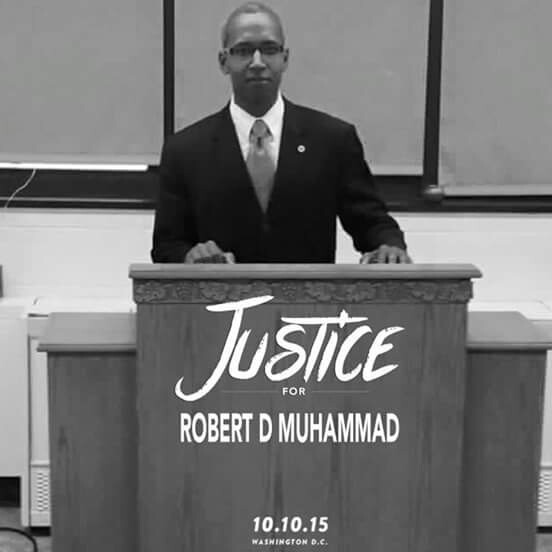 The Minister has been hurt personally and the Nation of Islam has been hurt because of false charges of hate teaching and anti-Semitism. His declaration came April 27 during a live appearance on the Rock Newman Show from its Southeast Washington studio. 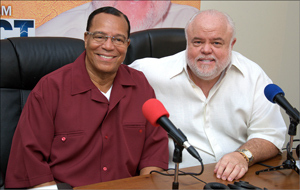 Mr. Newman, who is also a successful boxing promoter, shared with Minister Farrakhan his surprise at learning Mark Potok and the Southern Poverty Law Center (SPLC) had listed the Nation as a hate group. While Mr. Potok may have spent $1 million on security, which the Montgomery, Ala.-based Southern Poverty Law Center said followed battles with White supremacist groups, despite “all of this that they’ve done to us, yet they can’t find one hateful act that any one of us has done to any one of them,” the Minister observed. 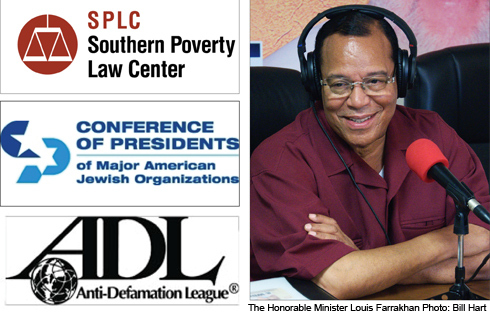 Minister Farrakhan added that the Nation should also consider taking Potok’s group and Jewish organizations to court to force the attackers to prove their innuendo and vile talk. “We can prove what we say about you but you cannot prove what you’re saying about us. Maybe we’ll iron this out before your courts. We won’t get justice but the truth will come out,” he said. In his program’s first segment, talk show host Newman had Mr. Potok on air. He complimented the Southern Poverty Law Center for its fight against groups like the Ku Klux Klan and White Citizens Councils and using lawsuits to drive White rights groups out of business. Mr. Newman offered to try to promote a dialogue with the center and the Jewish groups, saying his mission was to use the airwaves to promote discussions, share information and allow listeners to make up their own minds. The problems between the Nation of Islam, Minister Farrakhan and Jewish groups stem back to the 1984 presidential race when Rev. Jesse Jackson made an insensitive remark about Jewish political interests in New York. The Jewish groups and voters opposed the civil rights leader’s then radical call for changing U.S. policy by dialoguing with the late Yasser Arafat and his Palestinian Liberation Organization, which the U.S. branded a terrorist group. Rev. Jackson’s “Hymietown” reference to Jewish leaders and voters as well as his vision for a fairer U.S. foreign policy in Middle East angered Zionists. The words, which were made in an off the record talk with journalists, brought a firestorm of media controversy and condemnation, death threats and Jewish cries of “Ruin Jesse Ruin!” a mockery of the campaign’s “Run Jesse Run” theme. 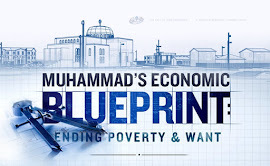 Minister Farrakhan spoke in defense of Rev. Jackson but appealed for a dialogue. He also warned that Blacks would not stand for any harm to come to Rev. Jesse and stressed the need to resolve the conflict with words and negotiation. In turn, the Minister was branded the “new Black Hitler” by the Anti-Defamation League and the assault by some Jewish leaders was underway. 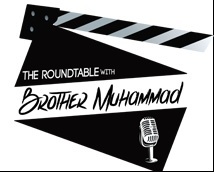 On the Rock Newman Show, Minister Farrakhan pointed out that when conflict between the Nation and Jewish groups started, he asked for a private dialogue but was rebuffed. 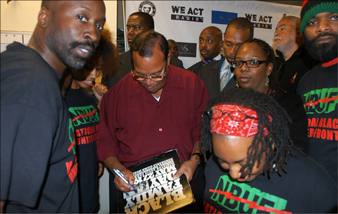 Farrakhan soon became the litmus test for Jewish leaders, who called on Black leaders and groups to denounce him, and demanded to know the position Black individuals, leaders, celebrities, businesspeople and organizations had on outspoken leader. Later attempts to dialogue were met with preconditions and demands that the Minister soundly rejected. Mr. Newman, in the segment with Mr. Potok, asked how could the Nation of Islam with all its good be called a hate group? Mr. Potak responded that the Nation teaches Whites are inferior, inherently evil and the problem was with the movement’s doctrine. Clearly if a White group was saying these things, such an organization would be called a hate group, said the Southern Poverty Law Center senior fellow. The Minister has also called Judaism a “gutter” religion and called Adolph Hitler great, said Mr. Potok, repeating old untruths that are part of a negative narrative about the Nation and its Minister. Later in the broadcast, Mr. Newman said Mr. Potok had been invited to be on air with Minister Farrakhan but had a schedule conflict. Mr. Newman asked the Minister to address the charges made by Mr. Potok on Nation of Islam teaching. “Now, they say that we teach that White is inferior and Black is superior. 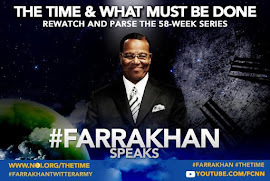 I don’t know in what context you are speaking because, we, as Black people are in a very inferior position not only in America but in the Caribbean, in Central and South America and in Africa,” responded Minister Farrakhan. 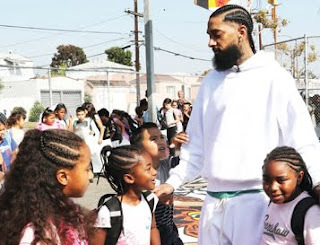 The Nation of Islam does teach Blacks are the original people and produced Whites and other races, but Whites cannot produce Black people, so in that sense there is a genetic superiority, said the Minister. “That is not hate or racism. That is an absolute fact. … So genetically you are inferior. That’s not your mentality. That’s not your creativity. That’s your genetic makeup. We can wipe you off the earth just cohabiting with you and that’s why your population is going down,” he continued. The origin of man is found in Africa, not in Europe, the Minister added. The Minister again beat back the Hitler lie and gutter religion misstatement. The practices of Israel hiding behind religion were criticized and the word gutter was never used, said the Minister. The charge about praise for Adolph Hitler, which followed an ADL leader slurring the Minister by calling the Muslim a new Black Hitler, was also wrong. Minister Farrakhan responded at that time by saying he should not be compared to wicked White murderers and Adolph Hitler was a “wickedly great” man. His words have been twisted and taken out of context since the mid-1980s. White injuries to Blacks go far beyond any verbal disagreements and include actual hate crimes of slavery, dehumanizing segregation, murder, attacks and unrelenting oppression. “There was a time when you would kill a Black man for looking under a White woman’s dress that was hanging on a clothesline. Now that’s hate. We don’t do that. 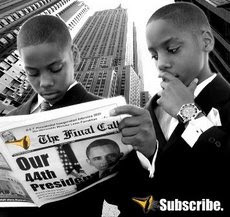 We’re telling the truth,” said Minister Farrakhan. And, he said, the Jewish Talmud teaches Blacks were cursed Black and doomed to be servants. “Is that love or is that hate? How many Muslims have segregated you? You’re down in Alabama, Mr. Potok—and in Alabama who was it that put up White and Black drinking fountains? Who put up White and Black hotels, motels? See you are the author of that and that speaks to your hatred of us. We didn’t do that to you. 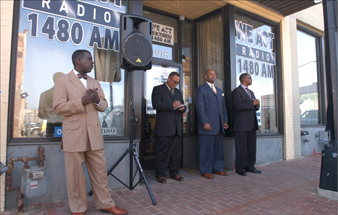 You all did that to us,” said Minister Farrakhan.